Another solid outing from senior All-America receiver/returner Anthony Davis (Upland, PA) from No. 12 Widener meant another accolade in being tabbed to the Middle Atlantic Conference Weekly Honor Roll. 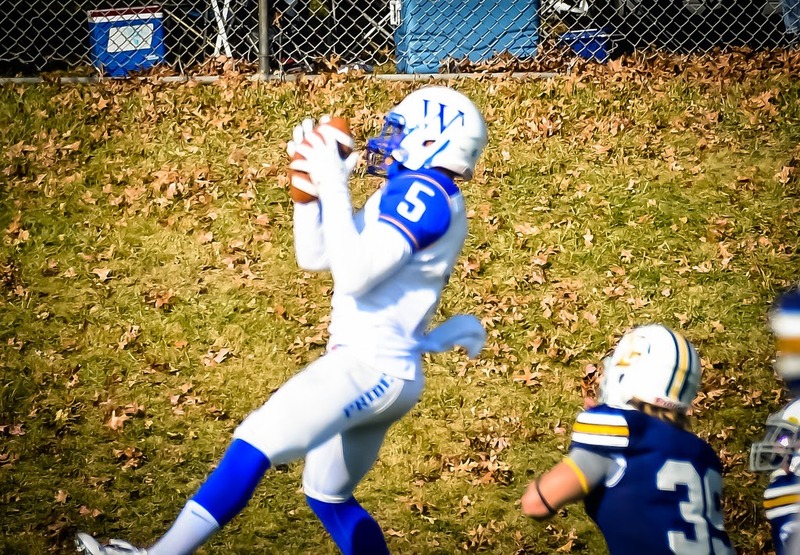 Davis had eight catches for 165 yards and a touchdown in Widener's 34-17 victory at Lycoming. His scoring reception came early in the second quarter on a two-yard quick slant from sophomore Seth Klein (Wernersville, PA), giving the Pride a 21-10 cushion. With every game comes an update to his records. Davis presently is first in school history with 227 receptions, first with 5,966 all-purpose yards, first with 1,631 kickoff return yards, second with 38 touchdown catches, second with 3,396 receiving yards and fifth with 42 touchdowns. This season, he is 36th in the country with 97.9 receiving yards per contest, 47th with seven touchdown catches, fifth in the MAC with 5.7 receptions per game and sixth with 133.0 all-purpose yards per contest. Davis came into this season having been picked All-America the last two years and first team All-MAC the last three. He also is the reigning MAC and ECAC South Offensive Player of the Year. Davis went into this season tabbed a Preseason All-America by four separate publications. His play has helped the Pride sit 32nd in the nation with 282.4 passing yards per game and 38th with 461.3 yards per contest. Widener (7-0, 6-0 MAC) is ranked 12th according to both the American Football Coaches Association (AFCA) andD3Football.com, and is undefeated this late in the campaign for the second time in three seasons. The Pride own the nation's top rushing defense at 50.3 yards per game, is second in turnover ratio (19:3) and second in red-zone defense. Widener is tied with No. 18 Delaware Valley (7-0, 6-0) atop the MAC with three games left. The Pride are home Saturday to face Stevenson (5-2, 4-2), starting at 1:00 pm.